Last week the International Budget Partnership (IBP) presented information on what is driving fiscal performance at national and county level, with a focus on revenue inflows. This is a behemoth task in itself due to significant data gaps that impede comprehensive analysis. For example, gazettes released by the National Treasury tend to be incomplete and it is not clear when the disbursements actually happen. Additionally, figures frequently change (particularly revenue inflows) mid-year with no explanations and the same information can be presented in numerous formats making analysis on consistent data sets difficult. That said, there is enough data from FY 2011/12 to 2016/17 to make some important observations. The first challenge that has emerged has to do with the sequencing of revenue inflows into National Treasury that affects county budget disbursements. National Treasury does not receive all of the revenue required to be dispensed over the fiscal year in equal tranches; that is 4 sets of 25 percent of revenue each quarter over the fiscal year. According to data over the time period analysed, in Q1 only about 20 (not 25) percent of total revenue in-flows have been received, this goes up to 47 percent by mid-year. What this means is that the bulk of financing for the fiscal year is received in the second half; as a result national government disbursement to counties follow a similar pattern where the bulk of county finances are sent in the later half of the year. This may explain complaints by governors that they do not get their disbursements on time and they blame Treasury for this. But to be fair, National Treasury is not in full control of when revenue inflows come in. Nonetheless, since it is clear that this is a systemic issue that recurs, national government ought to start taking remedial action so that county governments are not affected by their revenue inflow constraints. However, county governments are not innocent bystanders when it comes to fiscal weaknesses; counties almost consistently fail to approve their budgets on time and thus do not submit the attendant requisitions that lead to allocations. It seems that in most cases, county budgets have not been approved by the June 30 deadline; this leads to delays in disbursements. The factors behind these delays at county level are not clear but seem to be an amalgam of county capacity constraints as well as disagreements between County Executives and County Assemblies on what should feature in county budgets. A third factor at play that is informing fiscal performance is to do with sources of revenue. We know that county governments are still very poor at generating their own revenue and thus are almost entirely reliant on national government allocations. This makes them less autonomous in controlling their fiscal performance. At national level, the issue is that government is being increasingly affected by delays in revenue inflows partly because taxes are making a decreasing share of national government revenue inflows. National government is becoming more reliant on other sources of revenue beyond taxes, which means more borrowing and government often does not control when those disbursements are received. So at both county and national level, government is not in full control of revenue inflows which leaves the country exposed to cash crunches on which quick remedial action cannot be taken. It is important that national and county government develop revenue inflow strategies that mitigate current challenges so that expenditure and development plans can be more efficiently effected. This entry was posted in Africa, Development economics, Economics, Kenya, Political Economy, Politics and tagged County Government, fiscal policy, national government, revenue inflows. Manufacturing can play a crucial role in Kenya’s inclusive growth by absorbing large numbers of workers, creating jobs indirectly through forward and backward linkages to agriculture, raising exports and transforming the economy through technological innovation. It is with this in mind that the Overseas Development Institute and the Kenya Association of Manufacturers coordinated a multi-stakeholder process to determine how the manufacturing sector can create 300,000 jobs and increase the share of manufacturing in GDP to 15 percent in 5 years. A plan titled ‘10 policy priorities for transforming manufacturing and creating jobs’, has been developed focused on key actions that can be taken to build the manufacturing sector and achieve the aforementioned goals. The plan is rooted in the Kenya Industrial Transformation Programme and the Vision 2030 Manufacturing Agenda targeted at priority sectors of both formal and informal manufacturers (jua kali) as both sectors need support if Kenya is to industrialise equitably. The first issue to address is the business environment in Kenya. While Kenya has moved up 21 places, in its position World Bank’s Ease of Doing Business Rank, considerable constraints exist particularly in dealing with construction permits, paying taxes and registering property. Thus further action is needed to improve the business environment. Additionally, for manufacturing to flourish the country needs a fiscal regime that is more articulated to support the sector. 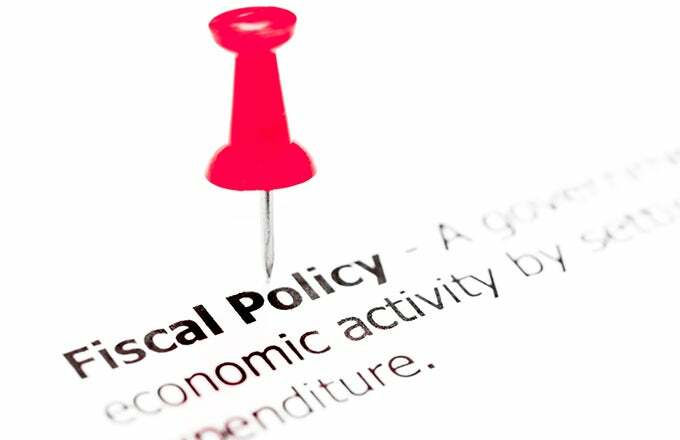 Fiscal policy at both national and county level needs to be more deliberately leveraged to support industrialisation through, for example, developing fiscal incentives that drive investment into manufacturing. The third action point concerns making land more accessible and affordable. Research by Hass Consult reveals that the price of land in and around Nairobi has increased by a factor of 6.11 to 8.05 since 2007. Aggressive increases in land price dampen investor appetite for investment in manufacturing which tends to be land intense. Thus there is a need to prevent inflationary speculation on land prices, and develop government land banks earmarked for industry. Energy costs continue to be punitive in the country and make Kenya’s manufacturing sector less competitive than even its East African neighbours. Government efforts need to not only target increasing energy generation but also lower energy prices and increase the quality and consistency of energy to the industrial sector. This should be coupled with a key gap constraining the sector- access to finance. 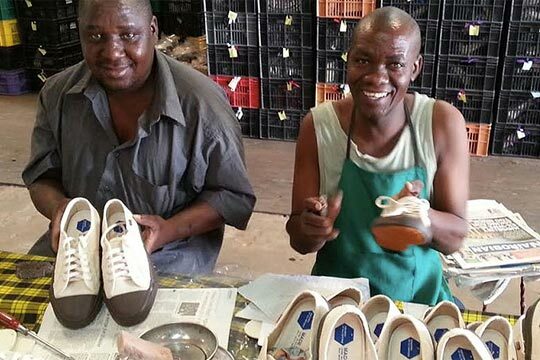 Manufacturing companies, particularly SMEs and informal industry, are undercapitalised and face multiple obstacles to obtaining access to finance. Bespoke financing mechanisms aimed at the sector, such as through an Industrial Development Fund, need to be fast-tracked. Kenya cannot leverage manufacturing for economic development without creating a more aggressive export push into regional and international markets. 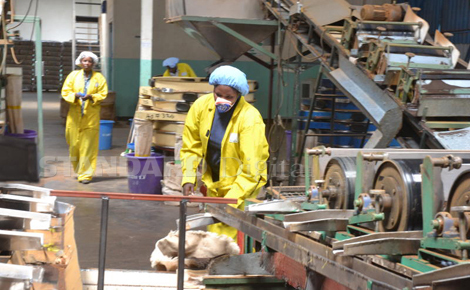 Kenya’s exports to the EAC are declining and opportunities such as AGOA can be tapped into more effectively. Additionally, Kenya needs to reorient education policy and skills development towards STEM subjects so that the skills in the labour pool drive the growth of manufacturing. Finally, overall coordination in the sector is crucial. An agency in government should be created that coordinates all government entities relevant to industrialisation such as agriculture, education and the National Treasury. The private sector also needs to better coordinate particularly along value chains to drive sub-sector growth in a more robust and targeted manner. Finally, there is a need for better coordination between public and private sector through fostering trust and reciprocity to drive industrialisation forward. This entry was posted in Development economics, Economics, International Finance, Kenya, Political Economy, Politics and tagged business environment, coordination, energy, exports push, Financing, fiscal regime, Industrialisation, land, manufacturing. Last week I attended a meeting organised by the Overseas Development Institute (ODI), the Africa Centre for Economic Transformation (ACET) and the Government of Ethiopia aimed at analysing and sharing lessons on the development of light manufacturing in Africa. The development of light manufacturing is an important part of Kenya’s plan for industrialisation as articulated in the Kenya Industrial Transformation Programme (KITP) developed by the Ministry of Industry. The Special Advisor to the Prime Minister of Ethiopia, Arkebe Oqubay, made some interesting points about key features of light manufacturing of which countries should be cognisant as they implement industrialisation plans. The first is no secret; light manufacturing is labour intensive. This feature makes light manufacturing attractive for African countries as an entry point into industrialisation as it has the ability to absorb large pools of labour. While this is attractive, it seems to me that it can create considerable pressure to rapidly skill up a relatively low skilled labour pool. Human and technical resources have to directed to a young and inexperienced labour pool in order to develop a sector with high labour productivity and high profit-making potential. Clearly it can be done, but has to be well thought out with clear links to education policy. The second point made was that countries cannot implement a light manufacturing strategy without addressing issues in agriculture. Whether it is textiles and apparel, leather and leather products, or food and beverages (F&B) manufacturing, agricultural inputs are crucial. In this sense Kenya faces a conundrum because certain segments of the agricultural sector such as tea, horticulture and floriculture are highly productive, but the rest of the sector wallows in poor productivity and considerable inefficiencies. It is no secret that textile and apparel firms in the EPZs in Kenya import their fabric from abroad, a factor that dampens the ability of this value chain to be an even bigger employer and income earner for Kenyans. The leather value chain in the country is also sub-par and the production capacity for domestic agricultural input into F&B manufacturing is lacklustre. What is clear is that Kenya cannot make serious forays into light manufacturing until the issues in the agricultural sector and value chains are fundamentally addressed. 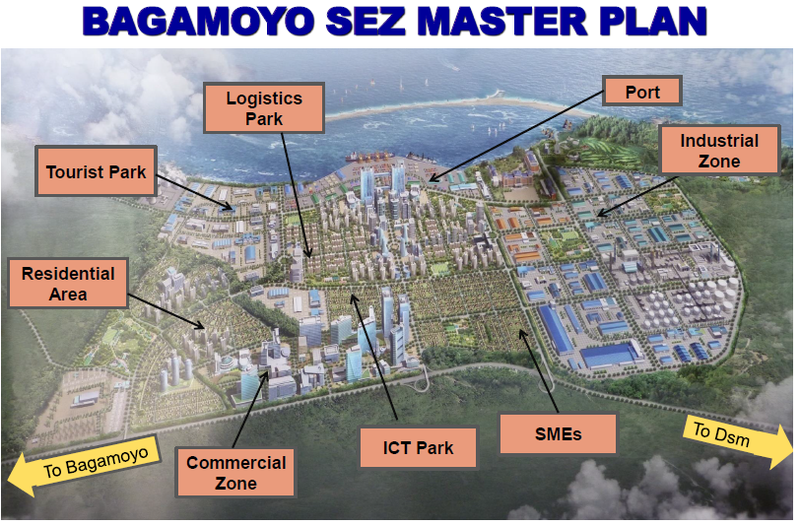 The final point Oqubay made was that the sector should be export-oriented if scale is to be achieved in a manner that restructures the economy. Insights from ODI on this issue point to the importance of conducive trade rules and trade facilitation measures that lower trade costs both in terms of accessing inputs and export markets. If manufacturers cannot get the inputs they require and reach target export markets, the sector cannot effectively scale. Other factors important in industrial policy, as pointed out by ODI, is collaboration and coordination between public and private sector in a manner that creates consensus on the strategic direction of the sector and country at large. When coupled with effective investment facilitation, SEZ creation/industry cluster development, and infrastructure development, it creates an environment where light industry can take off. Kenya can build on the successes being registered in infrastructure development and expedite the creation of SEZs, learning from countries like Ethiopia. However, the country needs a sharper focus on improving agricultural productivity, a more coherent skills development strategy, vastly improve investment facilitation and more effectively encourage public-private dialogue on the development of light manufacturing in the country. This entry was posted in Africa, Development economics, Economics, Ethiopia, Kenya, Political Economy and tagged Agriculture, export orientation, labour, light manufacturing, SEZ. I talked with Eric Olander of The China Africa Project on growing Chinese debt in Africa. This entry was posted in Africa, Development economics, Economics, International Finance, Kenya, Political Economy, Politics and tagged Africa, China, debt, The China Africa Project. It is estimated that Africa’s coastline hosts a blue economy estimated at USD 1 trillion per year. The UNECA defines the Blue Economy as that which covers both aquatic and marine spaces, including oceans, seas, coasts, lakes, rivers, and underground water encompassing a range of productive sectors, including fisheries, aquaculture, tourism, transport, shipbuilding, energy, bioprospecting, and underwater mining and related activities. According to Stellenbosch University, Africa’s oceans can and should be an important source of economic activity and growth for the continent, pulling up the standards of living and wealth of Africans. Africa ocean territories are estimated at 13 million km², all of which can drive a blue economy. The University of Queensland estimated that the annual economic output of the Western Indian Ocean of which East Africa is a part, is the fourth largest ‘economy’ in the region after South Africa, Kenya and Tanzania. It holds a total asset base of at least USD 333.8 billion and according to UNEP, produces more than USD 25 billion in goods and services every year. The main assets for the region’s blue economy according to the University of Queensland are fisheries, the coastline itself, mangroves, carbon absorption, seagrass beds and corals reefs, carbon sequestration and fisheries. According to UNEP over 60 million people live along the Western Indian coast, many of them deriving their livelihoods from the ocean. In South Africa alone, the blue economy is said to be able to generate 1 million jobs by 2033. The focus for Kenya’s blue economy according to the Kenya Marine and Fisheries Institute is centred on coastal tourism, offshore oil and gas exploration, deep and short-sea shipping, cruise tourism, fisheries and aquaculture, inland water way transport, offshore wind, blue biotechnology, marine mineral mining, marine aquatic products and ocean renewable energy. However, according to Kenya’s Permanent Secretary for Shipping and Maritime Affairs, Kenya loses KES 90 billion per year in the sector and fails to generate hundreds of thousands of jobs due to a lack of financial support to the sector exacerbated by the under-management and failure to invest in building skilled human capital for and of the sector. 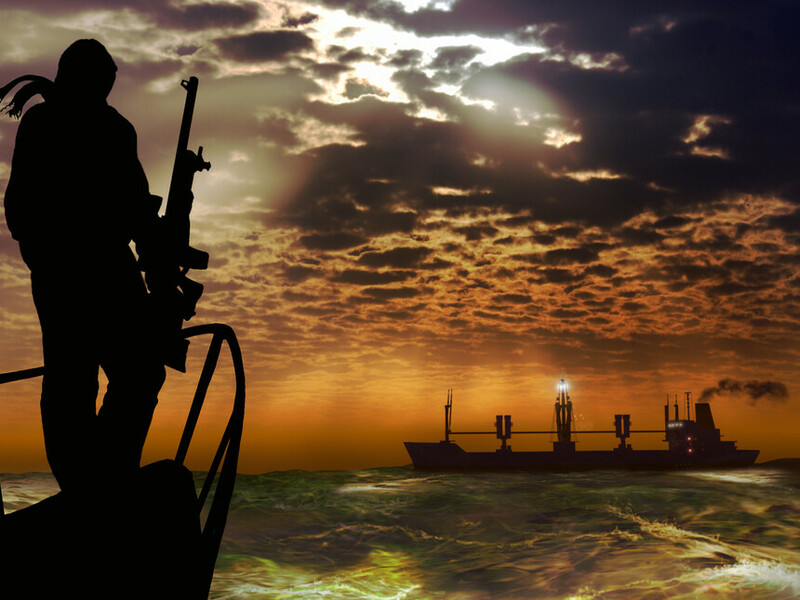 Sadly, Africa’s ocean areas also tend to be poorly governed with high levels of insecurity that facilitate illegal fishing, sea piracy and armed robbery, drug and human smuggling. According to Greenpeace, Western African economies are estimated to be losing USD 2 billion a year to illegal fishing alone. There is also the problem of chronic mismanagement of blue economy assets. A report led by the World Wildlife Fund found that 35 percent of the fish stocks assessed in the Western Indian Ocean are fully exploited and 28 percent are over-exploited. If the trend continues, Tanzania and Kenya could lose 18 percent of mangrove cover over the next 25 years. Further over 50 percent of the region’s shark species are threatened and 71-100 percent of the region’s coral reefs are at risk. As Kenya begins to design the priority areas of the Medium Term Plan III under Vision 2030, the blue economy ought to receive special attention. Bear in mind that it will likely be difficult to wrestle the blue economy from the control of illicit players but there is a need to not only do so but also more effectively monetise the sector so that it can become an important generator of economic and social development for the country. This entry was posted in Africa, Development economics, Economics, Kenya, Political Economy, Politics and tagged blue economy, economic development, piracy.